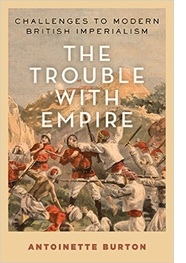 Antoinette Burton is the author of new book, The Trouble with Empire: Challenges to Modern British Imperialism, which was released in September 2015. She is Bastian Professor of Global and Transnational Studies and Professor of History at the University of Illinois at Urbana-Champaign. The recipient of a John Simon Guggenheim Foundation fellowship, Burton is the author of numerous works on the British Empire, women and feminism, and world history. It’s amazing how persistent myths about imperialism are. We may finally be past the fiction that western imperialism did more harm than good, or that empire builders had the best interests of colonial subjects at heart, or that women have had nothing to do with imperial ambition and aspiration. But the notion that the best way to think of imperial history is through a “rise and fall” narrative has remarkable staying power. Even in the face of evidence that what really shapes the dynamics of empire as it unfolds is recurrent small-scale conflict and struggle, stories about the grand arcs of rise and fall are still headline grabbers in our time. The example of Rome, of course, remains a touchstone. Edward Gibbon’s multi-volume The History of the Decline and Fall of the Roman Empire (published between 1776-88)may track the downward trend of imperial power, but its assumption that a grand rise precedes a precipitous fall has provided a lasting template for how to think about the life cycle of imperialism. This is especially true when it comes to understandings of the modern British empire, whether popular or academic. 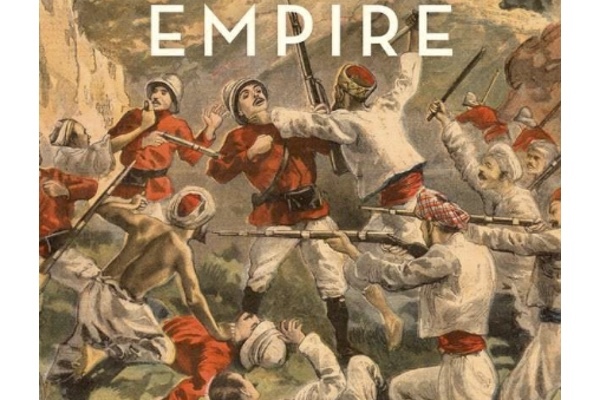 Together with the idea of Pax Britannica (a Victorian conceit which posits a mainly peaceful imperium), the rise-and-fall arc has underwritten the majority of big narrative histories of British imperialism since the nineteenth century. Yet in the Victorian period, empire was less a matter of easy ascendancy than a continuous bloody struggle for land, resources and converts to both Christianity and to middle-class British ways of life. Even at the so-called high noon of empire, colonial possessions were always at risk of being unsettled, in large part because of the challenges colonized people threw up at every turn. The rise-and-fall model may be the easiest way to visualize empires in history, but it does not capture the realities of the imperial project on ground, then or now. This is a fairly obvious proposition. For it is surely common sense to admit the possibility that imperial power was not incontrovertibly successful, but was haltingly, fitfully so, especially given the vast and far-flung territorial possessions that comprised the British empire from the 1830s to the 1930s. And how reasonable is it for historians to conclude that because mutinies were suppressed, strikes broken and pass laws created, social and political order was thereby unproblematically secured? Such an approach imagines that histories of short-term events like the Indian uprising of 1857, or of longer term conflicts like the Anglo-Boer war of 1899-1902, tell the whole story of imperial disorder on the ground. In fact empire was constantly in trouble. Its troublemakers were well-known nationalists like Mohandas Gandhi, to be sure, but they were also ordinary people who pushed back against the incursions of market capitalism, the theft of their land, and the remaking of their social and cultural systems. Or they were spectacular insurgents like the members of the Irish Republican Brotherhood, who bombed railway carriages in late Victorian London and the jihadists on the northwest frontier of India, who preached the end of British imperialism with fiery rhetoric designed to incite loyalty to global Muslim communion. In these instances, as in many other cases of the dissent and disruption that dogged the custodians of imperial power from Kingston to Jellalabad to the Transkei, the British responded with military might and other forms of micro- and macro-aggression. To pose a counterweight to the rise and fall narratives of British imperialism is not, therefore, to suggest that those native to the places the British sought to conquer won all the battles or that empire was ultimately powerless. It is to suggest that the way local polities and communities resisted cannot be contained in parabolas – that is, in a series of neat patterns of intense struggle that interrupted otherwise peaceful periods of quiescence or even submission. Even when battles appeared to be over and done and territory looked to be settled, the British were scrambling to keep the peace and establish political, economic and social order. Two wars to control China, three wars to “settle” Afghanistan, nine to subdue the “Kaffirs” before 1900 – this suggests not a confident stride but a rocky terrain which routinely threw the would-be colonizers onto the backfoot in the everyday contests of imperial rule. What’s more, those who inhabited the British empire’s vast imperial dominions could see for themselves how troubled the empire regularly was. Whether they witnessed successive British defeats on the battlefield or participated themselves in strikes and boycotts, indigenous peoples lived with the precariousness as well as the violence of colonial rule. And however distant they may have been from the scene of the action, readers of the wide array of newspapers and magazines that chronicled the daily details of imperial war, commercial activity and the quest for good government saw the trouble that the Queen’s subjects made with their own eyes. We have been slow to recognize how loose a fit there is between the trouble with empire on the ground and the grand cyclical narrative that tends to frame, and constrain, it. That belatedness is a symptom of how effectively a rise-and-fall story can shield us from the realities of imperialism as it happens if we are not careful readers, then as now. Empire’s rise and fall is a very seductive story, and it will likely continue to be read backward onto former empires and forward onto emergent ones. Those of us who seek a less coherent or predictive tale should look beyond the headlines for the signs of trouble that lurk at the edges. These are common enough to throw doubt on the viability of empire as a rising tide and to allow us to see it for the ongoing struggle it actually was. In the spaces in between we might learn with more precision just exactly how empire falters. We may also come to recognize how those it seeks to subdue make the kinds of trouble that, in the end, shape the characteristic instability of imperialism itself.